JONESBORO, Ark. – When Jon Jones came home Thursday morning in Jonesboro, his home had been ransacked by burglars, creating a feeling he will never forget. “It’s a strange feeling putting your things back in their place after someone’s ransacked your house, a feeling of violation and anger,” Jones told NEA Report after he returned home from a walk around Craighead Forest Park. It was no accident. It was a burglary. “I’m thankful they didn’t steal more than they did or had I arrived just a few minutes earlier, I would’ve walked in on them and who honestly knows what would’ve happened?” Jones said. 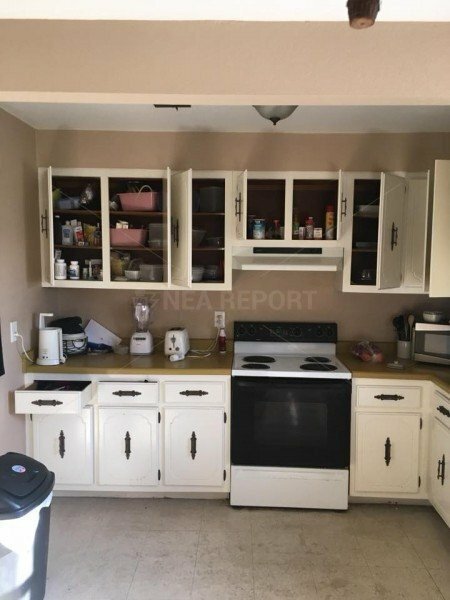 A kitchen ransacked by thieves. The mark of the criminals had been made. They were described as a couple of “young white dudes” by the victim. Evidently, they only stole an XBox video-game system. However, monetary amount couldn’t be applied to the biggest crime the suspected duo committed. The burglars showed no regard to his belongings in their search for an easy steal. Items strewn all over the bed as criminals searched for something to steal of value. “All I can do now is just rebuild, regroup, learn and move on, do what I can to try and make my son feel safe in his home once more and take measures to keep something like this from happening to us again,” Jones said.